An ideal combination of academic learning and strong values makes JIQ the right choice for many families. 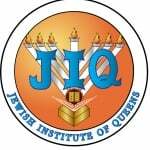 The Jewish Institute of Queens experience begins with academics. Our top quality program in secular and Judaic studies is known for its excellence in a well rounded curriculum. Learning at JIQ is discipline based, and our curriculum changes to reflect the latest best practices in education, so your child receives a solid grounding in math, language arts, science, and social studies. We not only challenge the mind – we nurture the soul. We offer a Judaic studies curriculum that is rich in Jewish tradition and the study of Torah. Faculty and staff are nurturing, talented, and creative. Our teachers are experienced in their fields, and care that each and every one of their students succeed to best of their ability. We are committed to providing the best education we can to each of our students. Class size is small, averaging 18 students per class. Support services staff and classroom teachers work with children of diverse learning styles and strengths by fostering an environment that meets a wide range of needs. The social development and growing self-esteem of each child is as important as academic growth; teamwork and cooperation are valued and modelled at each grade level. Our physical education program includes soccer, basketball, and baseball/softball for our older students, and special activities geared to our younger classes. A strong track record of success. Our students score well on standardized tests. Our community is inclusive. Although our school is aligned with Orthodox Judaism, we respect and welcome families of all levels of observance. Your child will be surrounded by a caring community that demonstrates concern for its members as well as people throughout the world. From classroom tzedakah projects to our local volunteer outreach programs, your child and your family will have many opportunities to model strong values of helping others. There is so much more! Come for a visit. Talk to our families. Our children are engaged in learning, our teachers delight in teaching, and our families take pride in the growth and achievements of their children. Choose our school for your child and join our learning community!